Welcome to the magnificent circus! 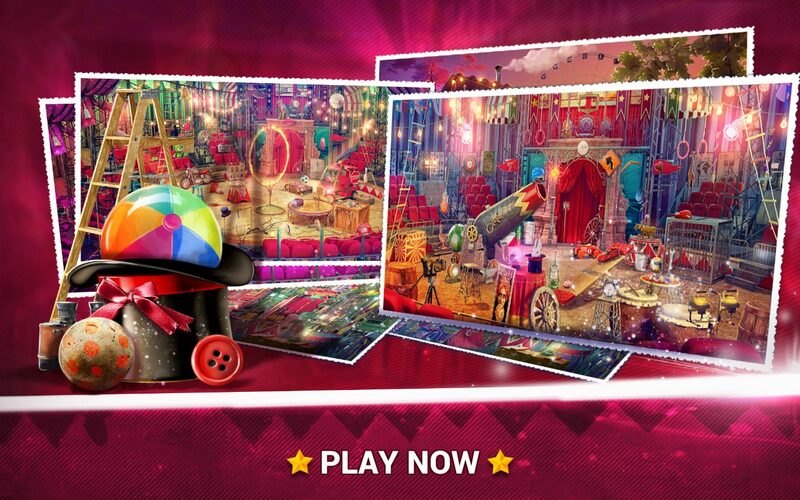 If you’re ready for the circus act of your lifetime, download our brand new game Hidden Objects Circus and enjoy a special hidden objects quest! Moreover, if you like adventure games and mystery games get ready for the best circus escape! Meet the clown Fizbo and help him clean the mess and reveal the dark mystery in the happy circus! 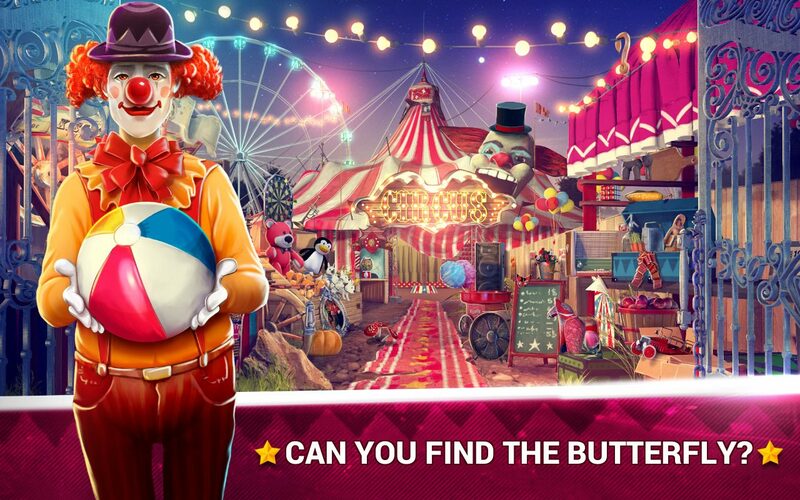 Therefore, this circus master will help you indulge in the best hidden object fantasy! Also, our latest games are waiting for a hidden object genius like you! Hence, download the best puzzle game 2017 and enjoy being the best player! First of all, join the family of happy circus performers and help them in the circus makeover! In addition, reveal the mystery and kill your boredom with the best logic games 2017! Moreover, this brain-teaser game will help you improve concentration, enhance speed and the ability to notice details. 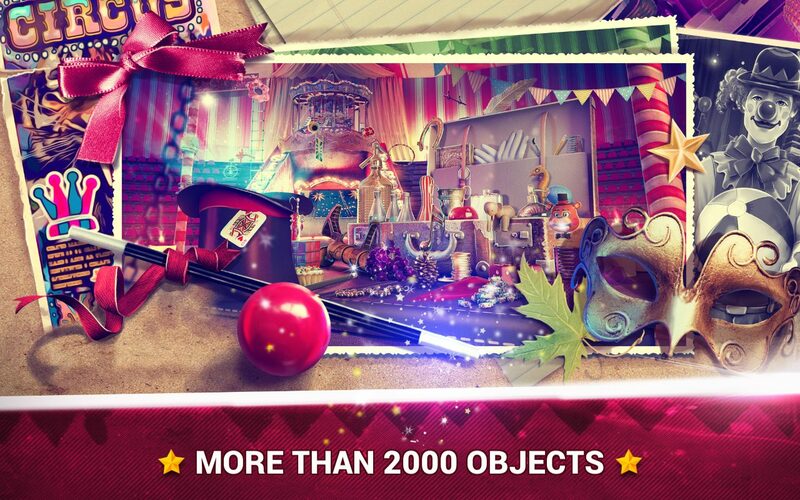 Look for hidden objects in pictures and reveal the secret heritage of the messy circus! If free casual games are your favorite pastime then it is a right time to find the puzzle seeker in you! Can you escape the scary marionettes and find the hidden objects in beautifully designed scenes? All the secrets of the haunted circus will be revealed once you start looking for lost objects! Enjoy being in the spotlight of the circus show and try to catch the criminal who robbed the circus treasure! 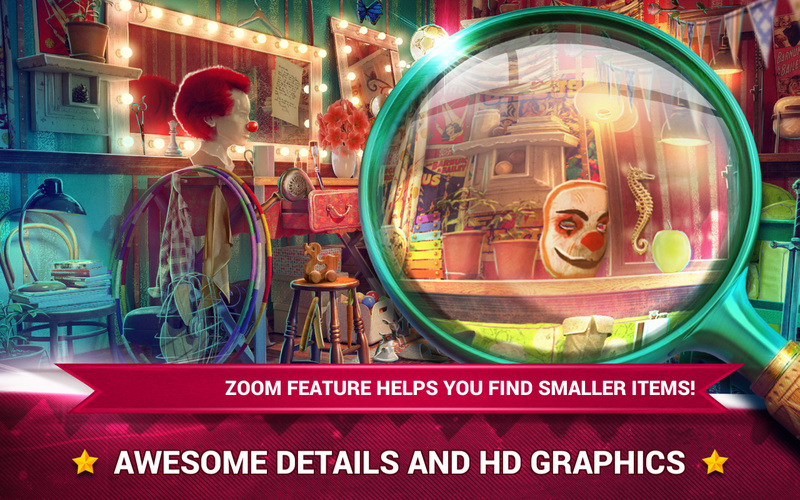 Hidden Objects Circus just for you!